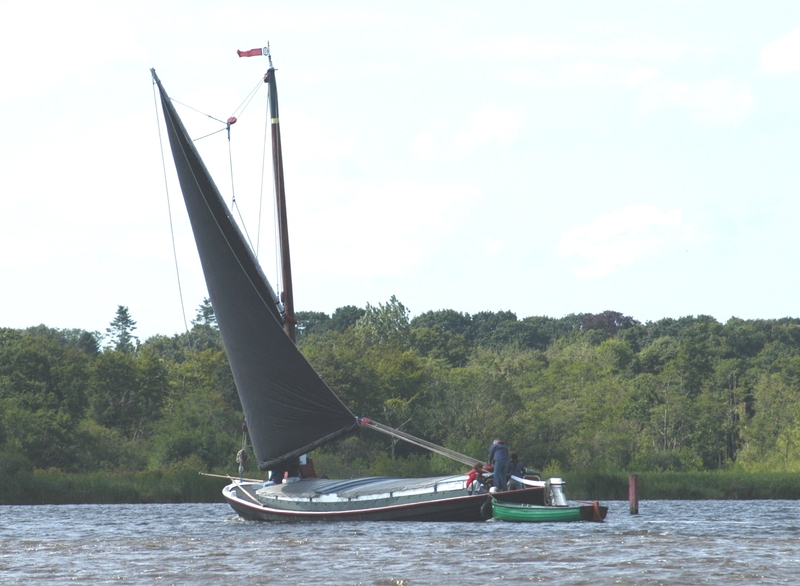 MAUD is the last surviving Norfolk trading wherry built by Halls at Reedham and the only remaining example of a typical clinker-built Norfolk wherry designed for timber carrying. 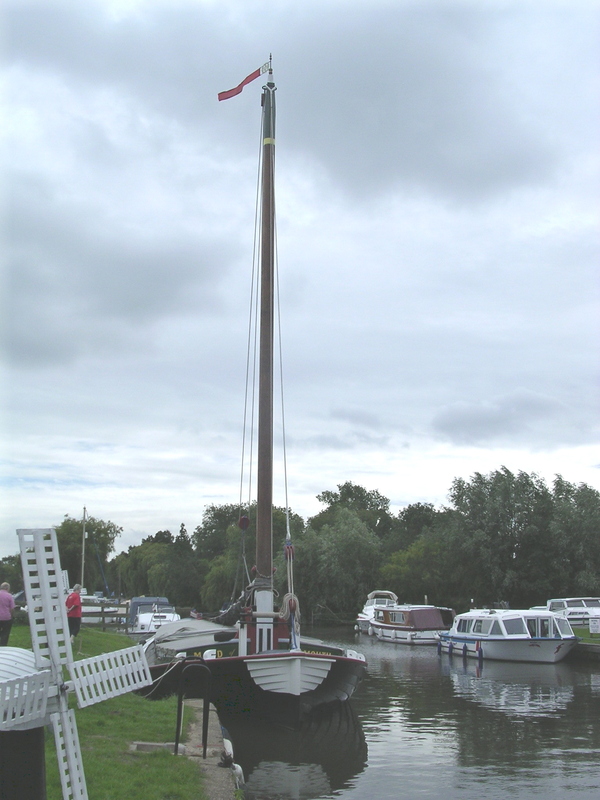 She was designed with a higher than usual tabernacle to permit a cargo of timber to be stacked above deck level, whilst retaining the ability for her mast to be laid down to go under bridges. 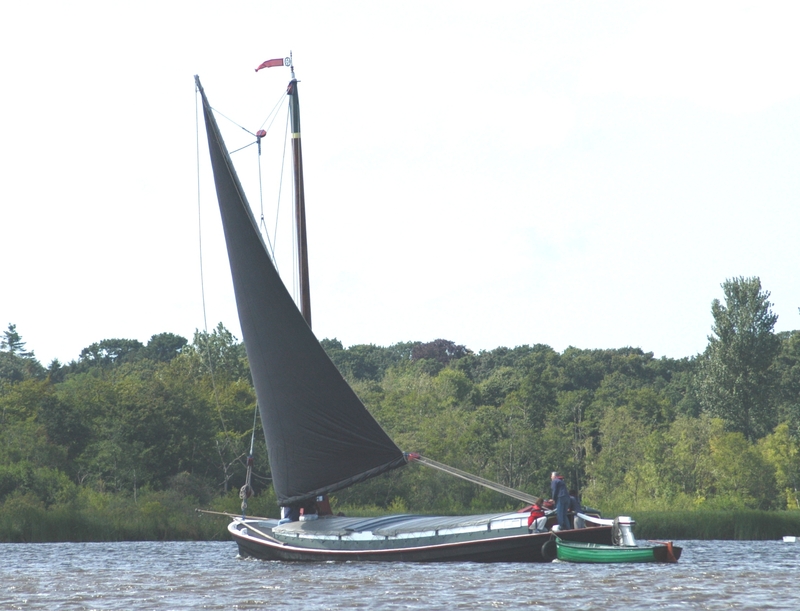 Built for the Great Yarmouth to Norwich trade, she does not have the slipping keel that was a typical feature of wherries trading on the shallow reaches of the broadland rivers. As an operational vessel, MAUD has undergone continuous maintenance and reconstruction which has affected the level of surviving original material. She had a hard working life up until the 1960s and a significant amount of hull planking was replaced in the late 1950s, although some original bottom planking and her hog remains original. Following an 18 year conservation project in the 1980s, only a few frames were able to be repaired by re-facing. Her original rig had been lost and her hatches, side decks and hold sides were found to be rotten. 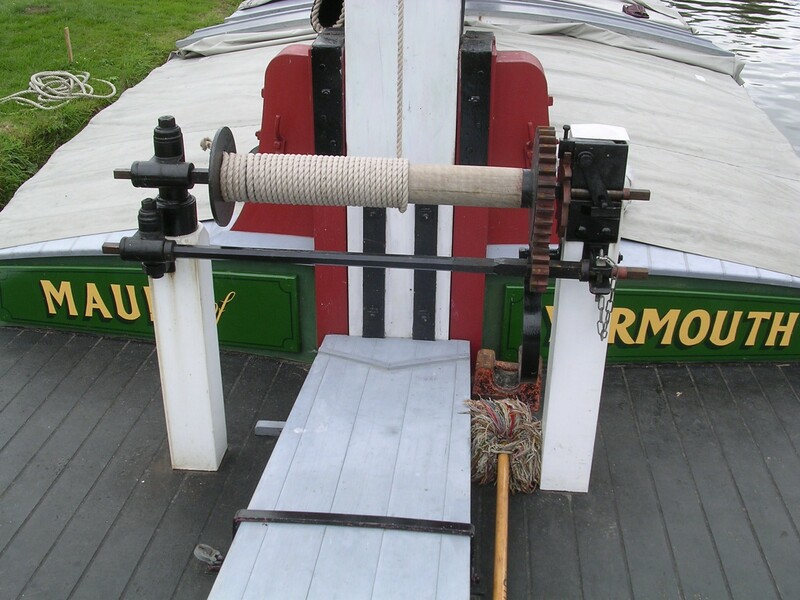 Her wooden rudder and tiller had been replaced by those from an iron wherry and the wooden timber heads had also been replaced with iron. These items are now in a local museum, representing the last phase of MAUD's life as a general purpose cargo carrying vessel, towed round the rivers and broads of Norfolk. No adaptations were made to the vessel’s form or fabric for passenger carrying purposes and MAUD retains her traditional open hold. The conservation involved traditional methods and materials wherever possible, with the exception of modern wood preservatives and some epoxy for strength. 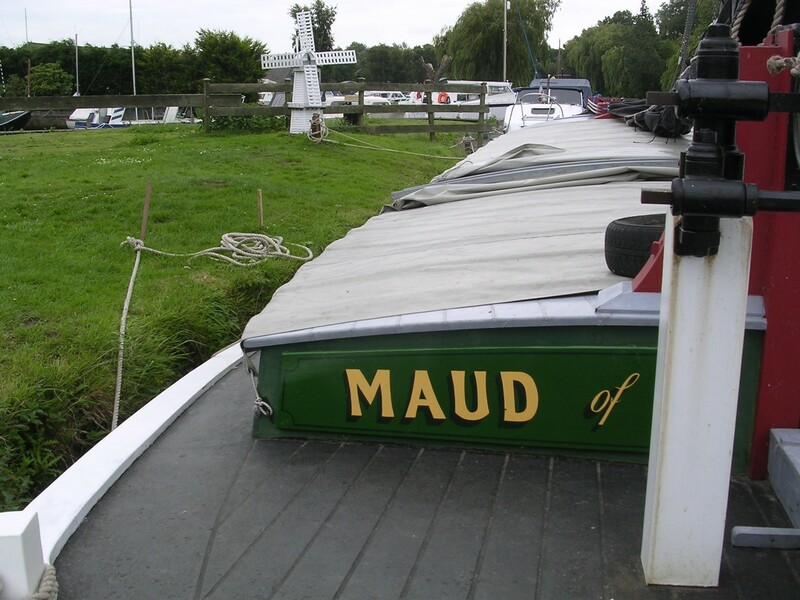 MAUD’s working life gives her strong regional associations with the Norfolk and Suffolk Broads. 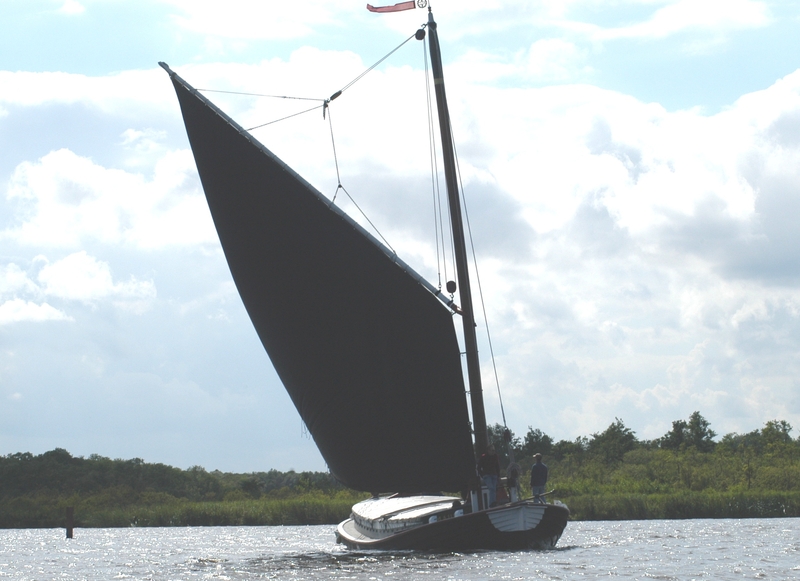 She was built by the famous wherry-building yard Hall of Reedham for a director of Jewson timber merchants in Great Yarmouth. Her early career in the ownership of Walter Christmas Bunn has been well documented through the records of the Jewson company and there are detailed accounts of the cargoes she carried from the early 1900s up to 1918. During her working life, MAUD was skippered by people from locally famous families of watermen such as Powleys, Farrows and Foxes. She took part in several races at sea off Great Yarmouth in the early 1900s which are covered by local newspaper reports. Her later work was also covered in some newspaper accounts and by the 1940s, she is listed as one of the wherries carrying beet in the records of the Cantley Sugar Beet Factory. 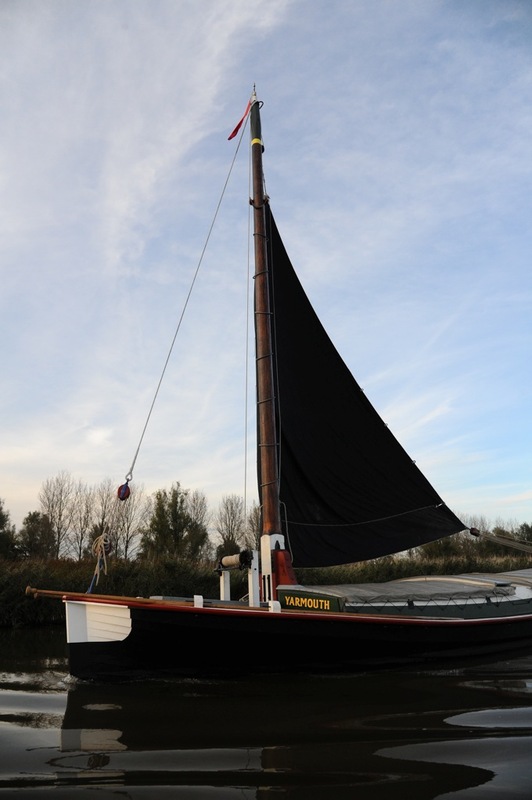 MAUD is the only boat to have been conserved by Vincent Pargeter, a professional conservationist in the field of wind and water mills. She appeared in two television documentaries in 2005 and 2016 and was also featured on the antiques programme Flog It in 2007. On New Year's Day 2016 trustees of Wherry Maud Trust were interviewed on a Radio Norfolk programme. She is a well-documented vessel and her archive includes a collection of historic photographs, press cuttings and a video diary of her 18 year conservation project. MAUD has been recorded on the National Register of Historic Vessels since 1996 and is a member of the National Historic Fleet. 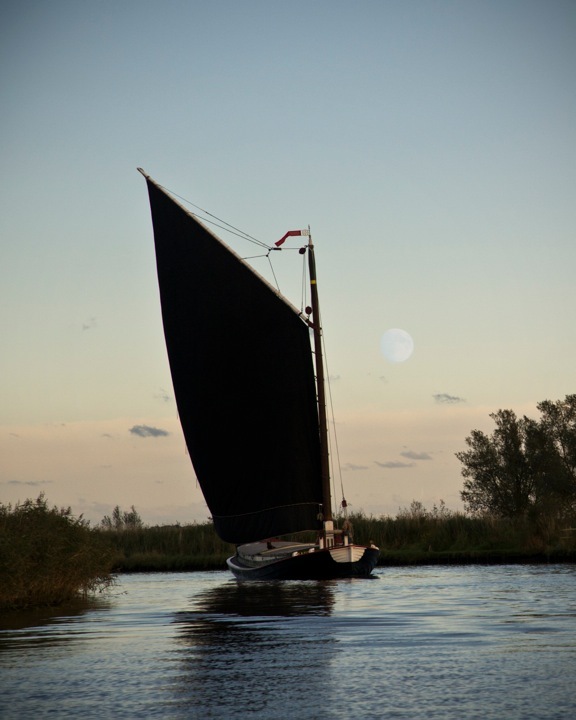 As the second largest surviving clinker-built historic vessel on the Broads, MAUD has a huge aesthetic impact in the local environment. 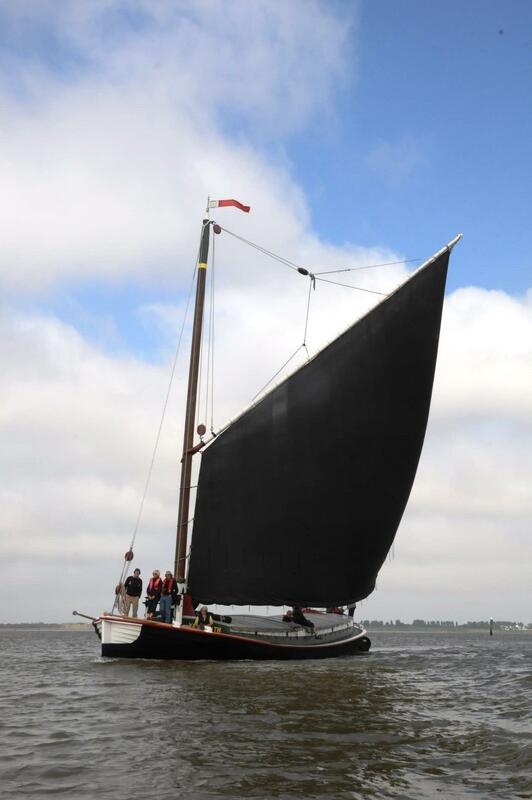 Her sheer line is graceful and her enormous black sail can be seen on the rivers from miles away. The hull form is as built and no changes have been made to her shape. MAUD is framed and planked in English oak and she remains in her working environment, ready to carry cargo when the opportunity arises. 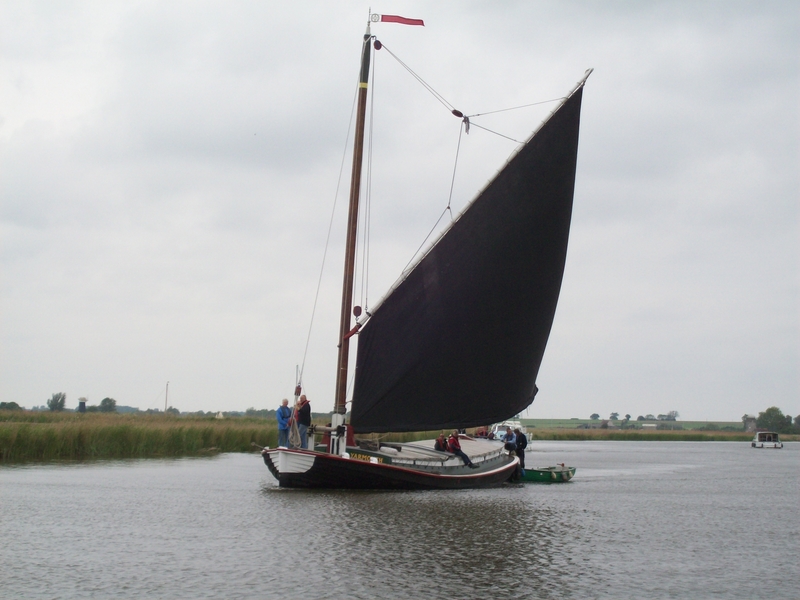 She is based alongside the other surviving trading wherry ALBION at the Forsythe Wherry Yard in Norfolk, in the waters where she would have operated traditionally. When on display, she is moored at riverside inns or staithes where she would have loaded and unloaded cargoes during her working life. Source: Wherry Maud Trust, 31 January 2017. 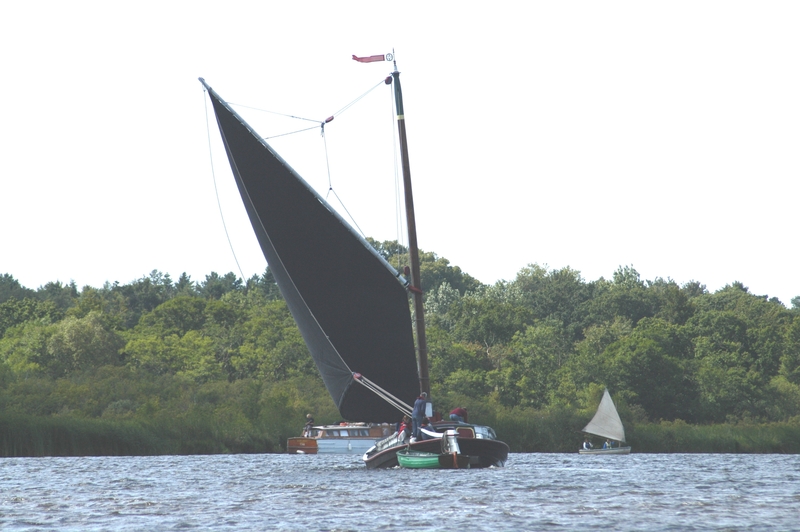 The wherry that refused to die, MAUD was twice raised from watery graves and after being submerged for sixteen years has been restored to sail again on the Broads. 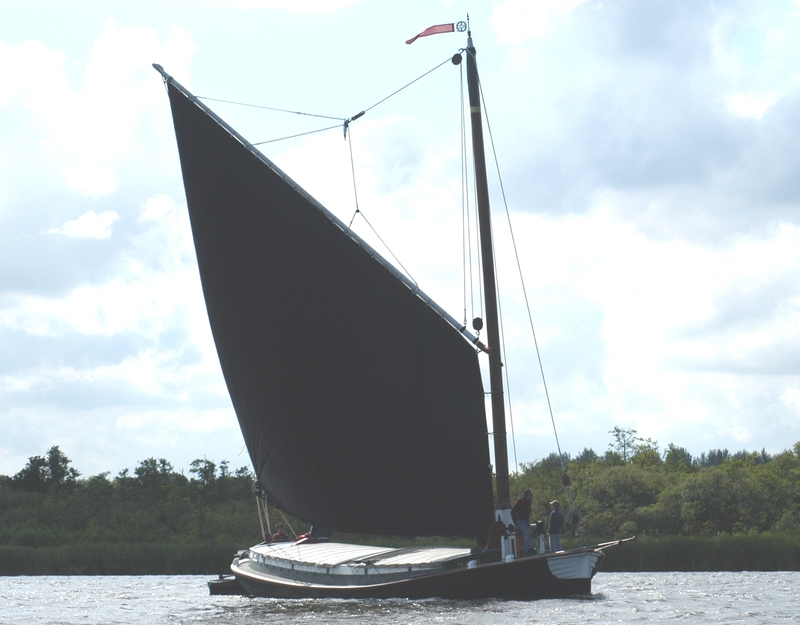 MAUD is a typical Norfolk trading wherry, one of two surviving under sail. She was built in 1899 by D S Hall, of Reedham, for Walter C Bunn, a timber yard manager and river haulage contractor of Great Yarmouth. Her hull was of oak planks and frames, and she had a pitch pine mast. Walter Bunn already owned her sister craft Dora, and in 1902 commissioned another, Shamrock, the last trading wherry built by Hall. At this time MAUD was skippered by members of the Powley family and carried timbers and general cargoes in connection with Bunn’s business. She would also take part in the occasional race: the last wherry race off Yarmouth in 1902 saw MAUD beaten into second place by Dora. 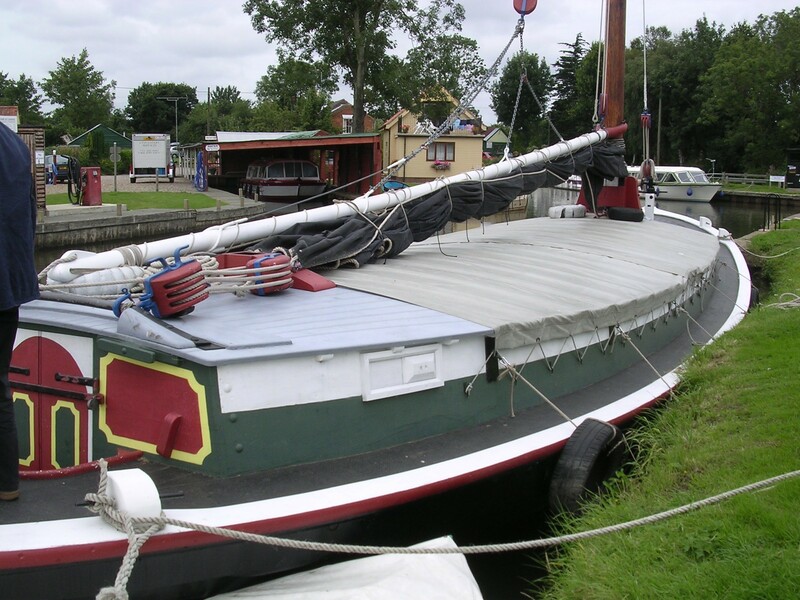 The three sister wherries were sold in 1911 to the Yare and Waveney Lighter Co of Norwich, to carry general cargo. MAUD was skippered variously by Tom Wright, Tom Bates and ‘Nolly’ Farrow. The owners began to replace wherries with large steel lighters towed by steam tugs, and MAUD and her sisters were sold in 1918 to J S Hobrough, of Norwich. 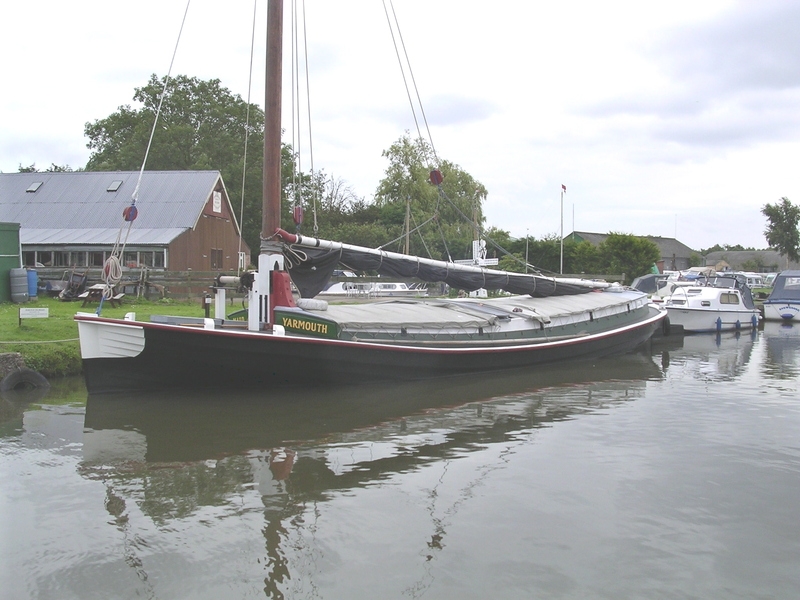 Hobrough was a river transport contractor and civil engineer and he removedMAUD's mast and used her for carrying mud from his dredging operations. She would be loaded with 45 tons of mud by a grab dredger and then be towed or quanted to the unloading site where the mud would be removed by two men using shovels and wheelbarrows. For most of this time MAUD was skippered by ‘Nolly’ Farrow junior, the son of one of her previous skippers. In 1940 Hobrough’s business was taken over by May, Gurney & Co Ltd, who continued to use MAUD as a dumb lighter. After the war she was given a Kelvin engine and carried cargoes of coal and sugar beet. In the early 1950s she was damaged by a crane grab when unloading coal at Norwich Power Station. 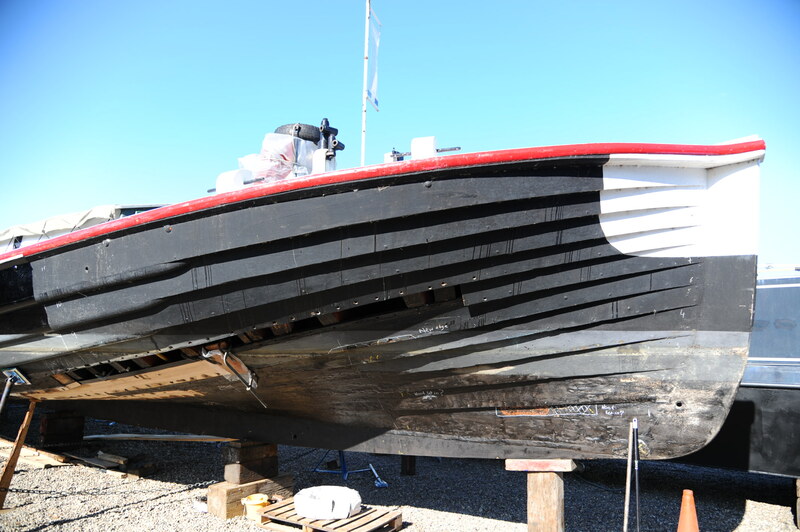 As her hull was already in poor condition the opportunity was taken to give her a thorough overhaul. 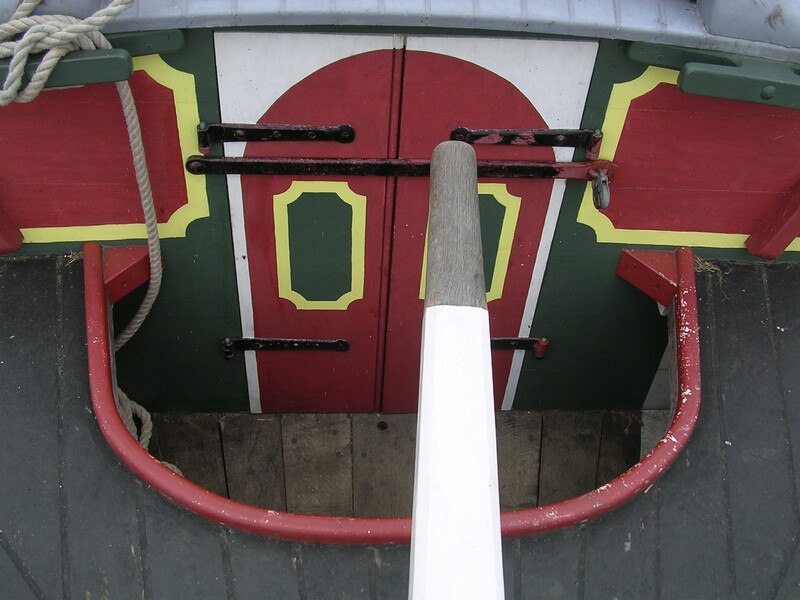 Most of the planking from waterline to deck was replaced, as were the decks; the tabernacle was cut down to increase clearance under bridges, and the wooden mooring timberheads were replaced with iron bollards. 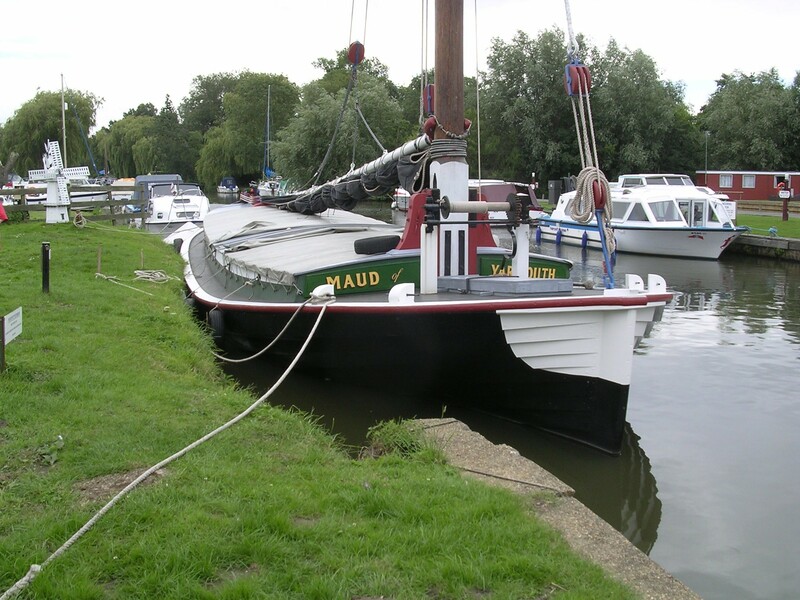 MAUD spent her last working years carrying dredged mud from the Broads to Whittingham or elsewhere. Finally May, Gurney & Co replaced their wherries with modern steel lighters. 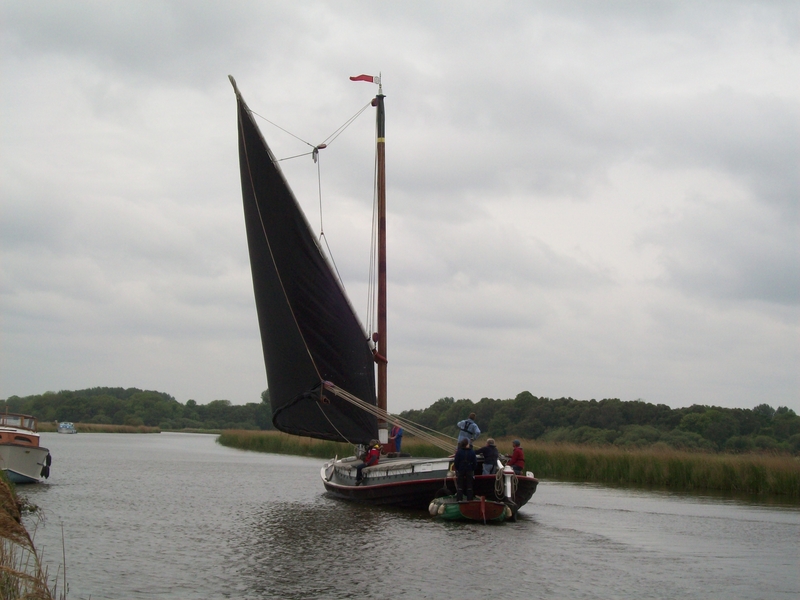 In the mid 1960s Ranworth Broad, kept as a nature reserve by the Norfolk Naturalist Trust (NNT) was suffering erosion and the wherries MAUD and Bell were sunk as protection for the narrow spit of land separating the broad from Malthouse Broad. In 1976 when a nature trail was set out space was needed for a floating conservation centre and it was decided to move MAUD to a point of land to the north where she was resunk and filled with mud. 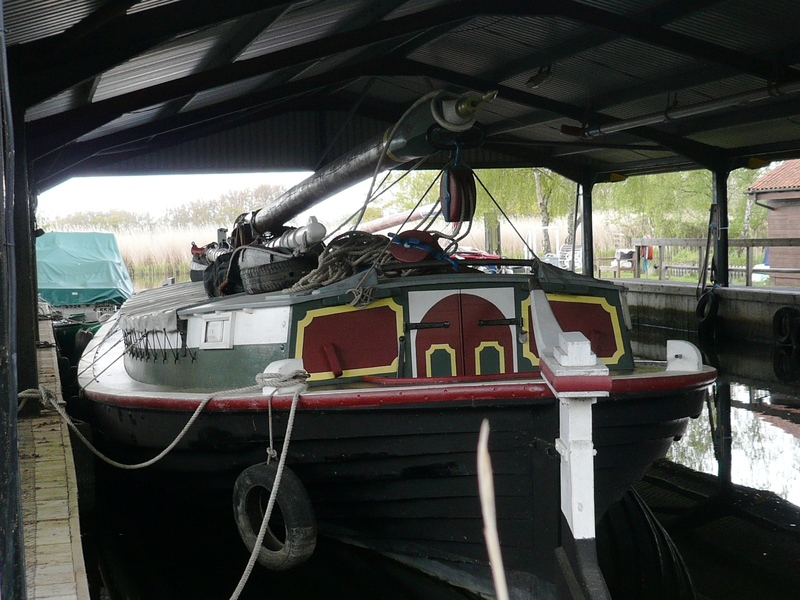 There she lay until 1981 when the NNT decided to pile the bank because of coastal erosion and MAUD was given to the present owners who had been looking for a restorable wherry for many years, on the understanding that she would be restored. Needless to say, by this time she was in wretched condition. On 2 June 1981 MAUD was raised and the new owners reinforced her hull, pumped her out, removed the mud and plugged leaks to prevent her sinking. 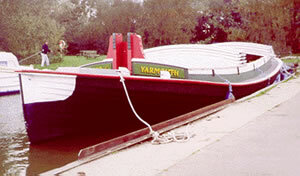 In July 1981 she was towed to Eastwood Whelpton’s boatyard at Upton Dyke. A substantial roof structure was erected to protect her and the restoration began. Most of the frames were replaced and half of the planking, all in oak. 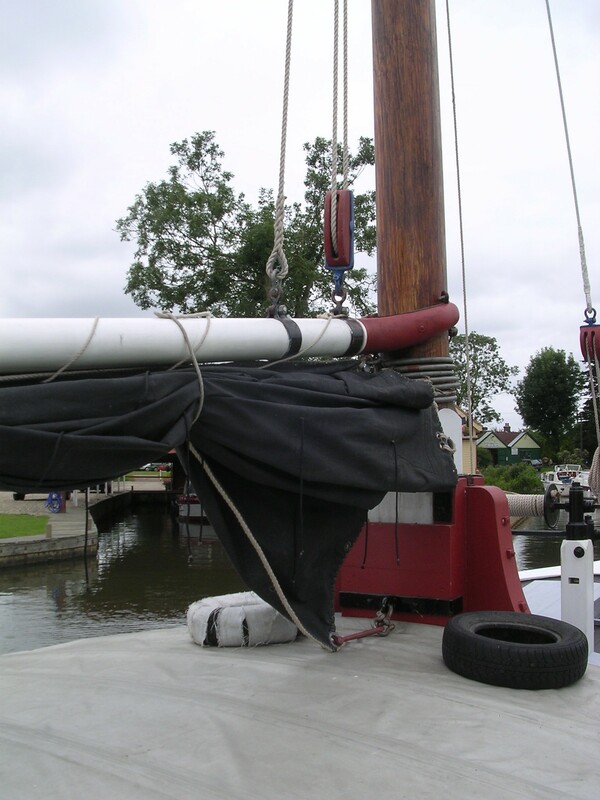 The stem, sternpost, keel, decks and after cabin were rebuilt and a new pitch pine mast was made from a 47ft baulk of timber, 14 inches square, imported from Belize. 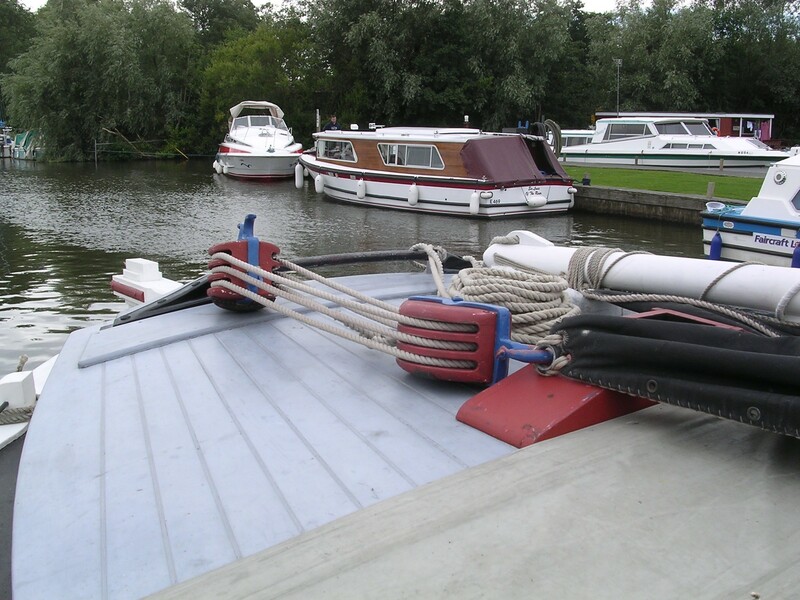 Most of the work was done by the owners aided by Colin Buttifant, a boatbuilder of Upton. Her original vane is preserved in the Bridewell Museum, Norwich. The monumental restoration took 18 years and in 1999 (her centenary year) MAUD was re-launched, recommissioned on 20 September, and sailed again for the first time in 60 years.